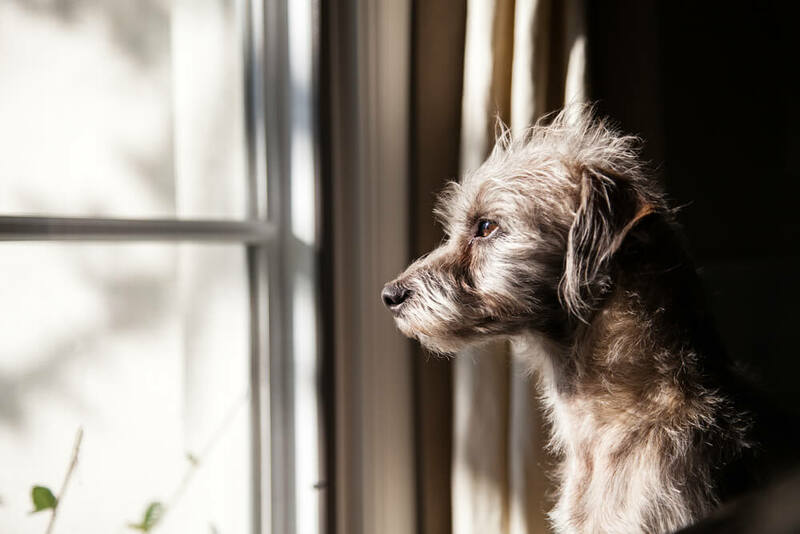 Bladder stones (also called urinary calculi) are a common problem for dogs.And as with most health issues, some breeds – including Yorkshire terriers, miniature poodles and Shih Tzus – are more susceptible to developing them. It’s also interesting to note that bladder stones tend to be more common in male dogs. 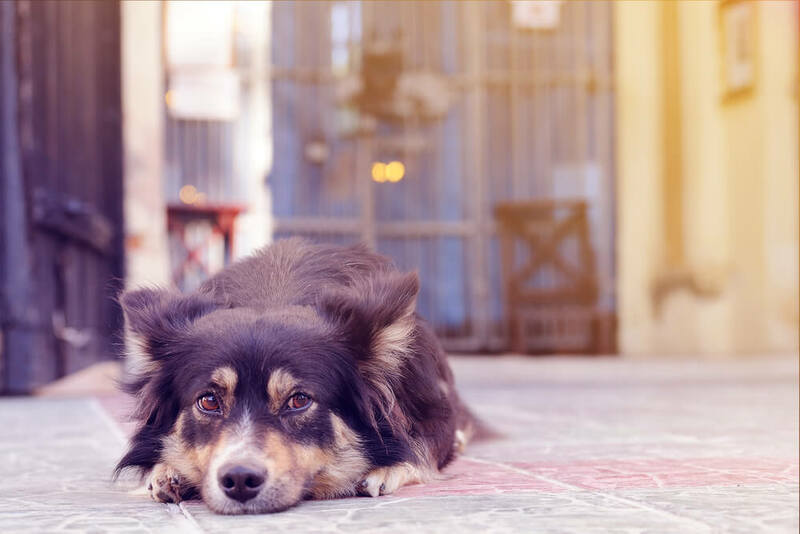 While there are several different types of bladder stones, calcium oxalate stones are one of the more common types that dogs develop. These stones form when two chemicals – calcium and oxalic acid – bind together in urine. Normally, calcium and oxalic acid mutually co-exist in your dog’s urine and don’t bind together. But under certain conditions, for example if the urine pH is too acidic, the two bind to form a compound called calcium oxalate. This compound can’t be dissolved or excreted, and so becomes lodged in the bladder. High levels of these chemicals in the urine also increase the likelihood of them binding together to form calcium oxalate stones. A common sign of stones in your dog’s bladder is difficulty urinating (also called dysuria). Urinating becomes difficult because the presence of stones in the bladder cause it to swell and become inflamed, or the stones are physically obstructing the bladder both of which mean urine isn’t able to pass through to the urethra and be expelled. Haematuria (the presence of blood in the urine) is another sign that your dog might have calcium oxalate stones. This happens because the stones rub against the bladder wall, causing damage, irritation and bleeding. 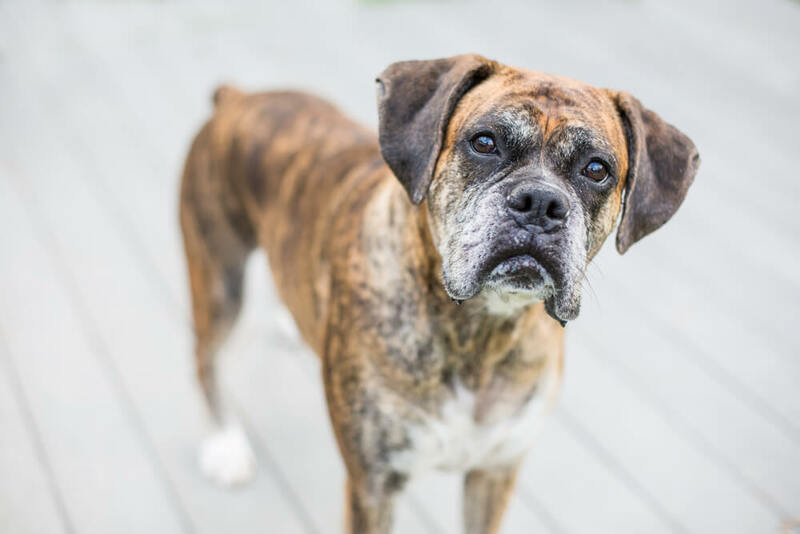 It’s also important to be aware that calcium oxalate stones can sometimes be asymptomatic, meaning your dog doesn’t present with any of these or other symptoms. If you do notice anything unusual about your dog’s toilet behaviour and observe any blood in their urine, speak to your vet immediately. For the majority of dogs, calcium oxalate stones are removed via surgery, which is considered the simplest, most direct way to remove them. While there can be other options to remove stones (see below) surgery tends to be the only option when stones are bigger and when there are a lot of them. It is also the recommended method of removal for male dogs because there’s a higher risk the stones will cause obstruction and damage to the bladder. Surgery doesn’t always remove every trace of the stones which is why following surgery, vets tend to ‘flush’ the bladder to remove any lingering traces of them. But unfortunately even with flushing, it can be impossible to remove everything, meaning some traces of the stones remain. This is why it’s very common for calcium oxalate stones to form again and again. There are however measures dog owners can take to decrease the likelihood of this happening (see below). If they are small enough in size (and there aren’t very many of them) calcium oxalate stones can be removed just by flushing the bladder. 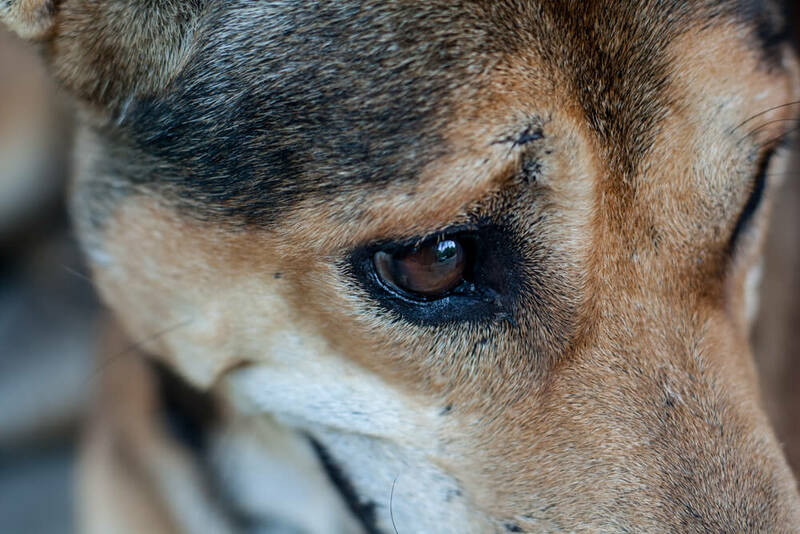 This procedure is usually done when the dog is heavily sedated or under anaesthetic. Stones can also be removed via a cystoscopy, a procedure where a cystoscope is passed up through the urethra and into the bladder to break down the stones. This produces stone fragments that are then small enough to be expelled naturally through the urine. Again, this procedure will only work if the stones are small and there aren’t many of them. This is not an exhaustive list of how calcium oxalate stones can be removed. Your veterinarian will talk through the different options with you to find the one that’s most suitable for your dog. While it can be difficult to completely prevent your dog developing calcium oxalate stones (particularly if they have a genetic predisposition to it), there are some things that you can do to decrease your dog’s chances of developing bladder stones, and to prevent them coming back in dogs who have previously had them. Keeping your dog well hydrated is vital. This dilutes their urine, which in turn dilutes the levels of chemicals that promote stone formation, and so decreases the chance of your dog developing bladder stones. You can help your dog drink more water by placing a few bowls of fresh water in different locations around the house. Always make sure the water is fresh and that you change it regularly. In the ideal world we are aiming to maintain urine specific gravity <1.020. I always encourage my clients to buy a refractometer, which makes it very easy to measure your dog’s urine specific gravity. 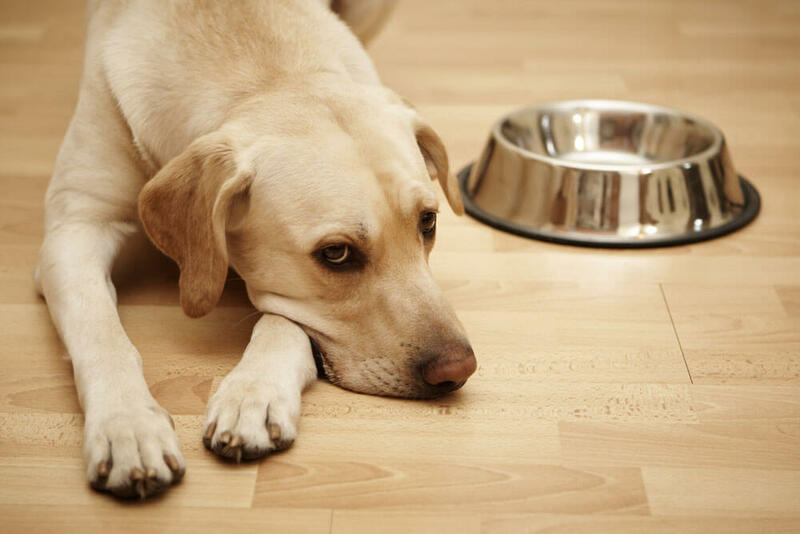 The food your dog eats also impacts on the development of calcium oxalate stones. To decrease the chances of your dog developing bladder stones, you should avoid feeding foods that contain high levels of oxalate such as spinach, sweet potatoes, organ meat and brown rice. Instead, include foods with lower oxalate levels like apples (peeled), wild rice and meats and fish in their diet. It’s also a good idea to boil vegetables and discharge the water before giving them to your dog – this helps to reduce the oxalate levels in them. Restricting calcium is another strategy for reducing oxalate levels in the urine – a reduction in calcium should be accompanies by a similar reduction in oxalate levels. However calcium restriction should be done very carefully, as too much restriction can be damaging and may lead to health problems including osteoporosis. Other dietary measures that can be taken to help prevent formation of calcium oxalate stones are reducing dietary sodium (salt) and avoiding excess vitamin D. This is because excess sodium and vitamin D promotes excessive urinary calcium excretion. Therefore moderately reduce dietary sodium, stay away from high sodium treats and do not supplement with vitamin D.
Vitamin C supplements are not recommended because when vitamin C is metabolised and broken down, it produces oxalate – therefore avoiding vitamin C supplements avoids an increase in oxalate levels. Vitamin B supplements are water soluble and are excreted in the urine. Therefore in all cases of urinary tract stones it is prudent to give a vitamin B complex supplement. There is still some debate surrounding magnesium and bladder stones. Some studies have shown that magnesium in the urine impairs formation of calcium oxalate stones. But other studies have shown that when given to healthy dogs, magnesium supplements resulted in an increase in urinary calcium levels. So because there is no definite consensus, restricting or supplementing magnesium is not recommended and so both should be avoided. It’s important to note that not all of the oxalate in your dog’s body stems from their diet. Some is produced naturally by your dog’s body, mainly the liver. 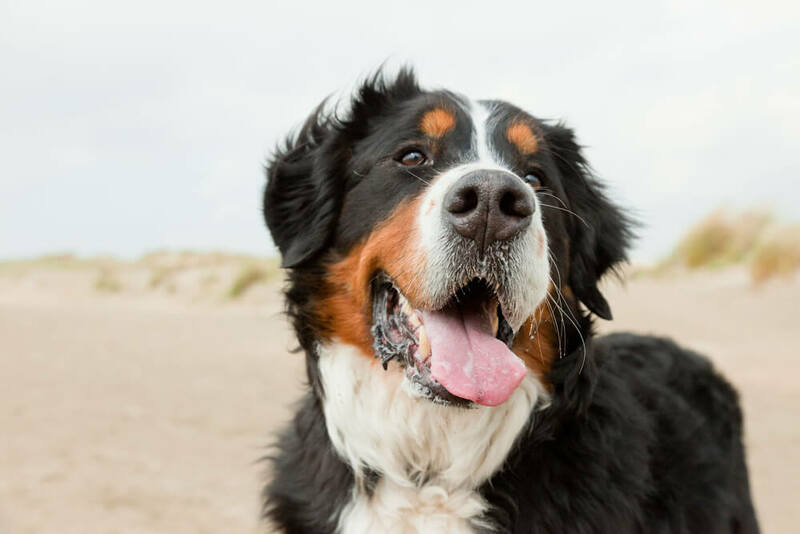 Nonetheless, avoiding incorporating foods with high levels of oxalate in your dog’s diet is an important preventative step against calcium oxalate stones. Including fiber in the diet may reduce absorption of some minerals and so should be considered as part of any dietary changes being made. However, take care not to increase levels too much which can result in overfeeding. Calcium oxalate stones cause the bladder to become inflamed by rubbing up against the bladder wall. To help reduce this inflammation, you can give your dog fish body oil supplements. However, avoid liver oil as this contains vitamin D which should be avoided (see above). There are a few veterinary prescription diets designed to (theoretically) reduce the likelihood of calcium oxalate stone. You can also prepare you dogs food at home using the same high quality ingredients that you eat. There are several health benefits of making your dogs food at home. By feeding your dog a home-prepared diet rather than a dry kibble diet, you can increase the amount of water they are drinking. And as mentioned above, increased water consumption makes urine more dilute and can help prevent stones forming. A home-prepared diet is also the only way you can truly control what is going into your dog. 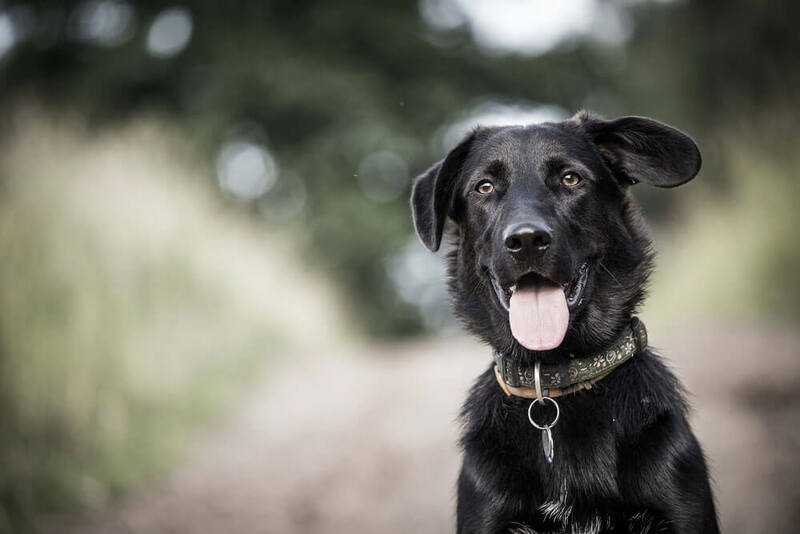 If you’d like to try cooking for your dog, the best way to ensure that the diet is meeting all of your dogs nutritional needs is to get your recipe from a qualified nutritionist. Dietary manipulation to address a health problem should be done by someone who will work with your dog. Calcium oxalate stones form in urine that is too acidic (between pH 5.0-6.5). So another way calcium oxalate stones can be prevented is by maintaining a urine pH that is more basic – typically around pH 7.0. It’s worth noting that healthy dogs typically have a urine pH of around 6.5. For the majority of dogs a high carbohydrate diet results in the production of urine with a more basic pH. This suggests that a high carb diet might help in the prevention of bladder stones. But every dog and their metabolism rates are different, so what works well for one dog may not be suitable for another. If you want to monitor the pH of your dog’s urine after making changes to their diet, you can test it. You can do this by catching some of the first urine of the day midstream and before a meal and testing it with a pH strip that are available to buy. It’s advisable to test your dog’s urine pH for a few days in a row both before and after any diet alterations to accurately determine if there’s any change in the pH level. You may not be successful in keeping your dog’s urine pH exactly where you want it. The key is to monitor the pH and know where you are, but not to panic if the urine remains more acidic than you would like. And remember, it is more important to keep your dog’s urine dilute (<1.020) than to raise its pH. Bladder stones aren’t a pleasant thing for your dog to develop. They can be extremely painful as well as potentially fatal. 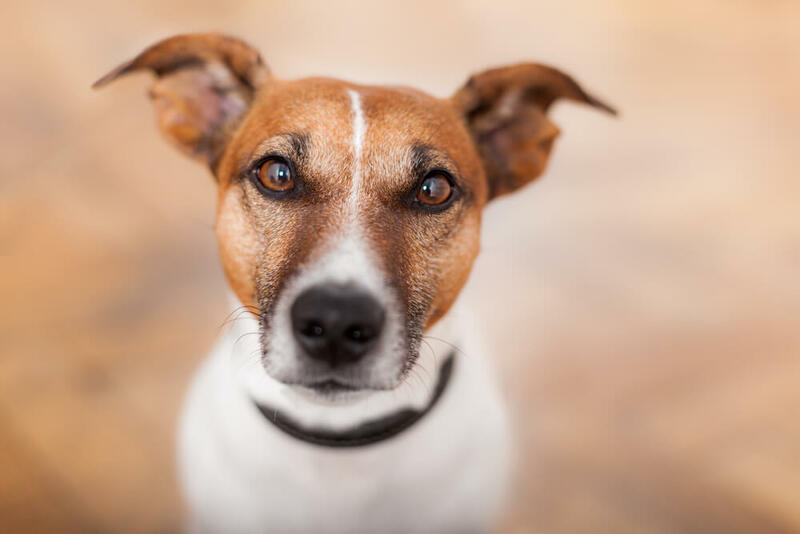 But the good news is, as an owner, sticking to dietary recommendations and monitoring your dog’s urine can reduce the chances of them coming back in dogs who have previously had them.